Eat Your Words is back for a brand new radio season! 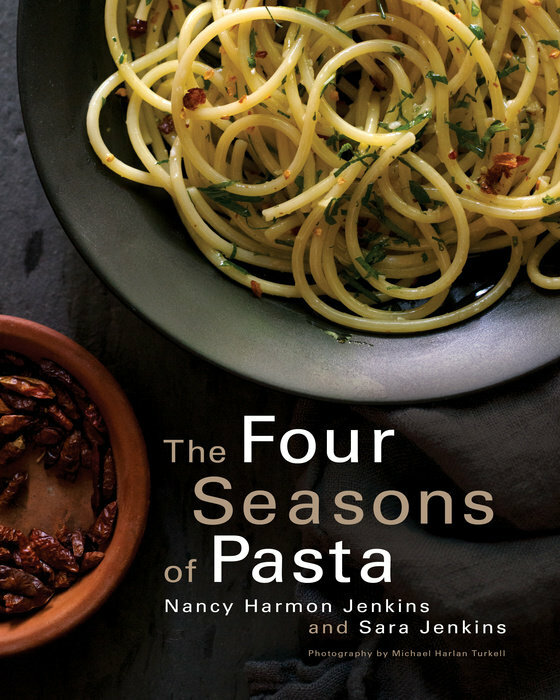 Host Cathy Erway welcomes chef and author Sara Jenkins to the studio chatting highlights from the book (co-authored with her mother, Nancy Jenkins), The Four Seasons of Pasta. Notably, there are few ingredients in a cook’s pantry that beat out pasta—for tastiness, for ease of preparation, for versatility, and for sheer delight. It’s irresistible to all and perfect for every occasion. Sara and her mom draw on their own background in Italy, where they’ve lived, cooked, studied, and worked in Rome and Florence, and on a Tuscan olive farm for many years. Presently the accomplished chef and owner of Porsena and Porchetta, two restaurants in New York’s East Village, Sara and Cathy round out the show discussing the inspiration for the book as well as the importance of improvising while you cook. Tune in for a wonderful show!